Deciding on the perfect color for your next furniture painting project can be challenging. That’s why we created the APC Color Guide to help you find a color tone that will fit in with your current home decor. Once you find your favorite new American Paint Company color, you’ll be able to recreate that unique and distinct piece of furniture for your home. 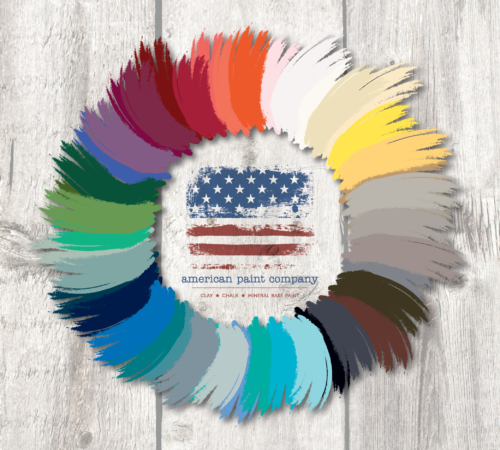 Read on to check out the APC Color Wheel, Collection Cheat Sheet, and the Free Color Book Download at the end of this article. There is a big difference between the paint colors using natural mineral pigments, and most other synthetic colors on the market. The industrial age has changed the way we make paint. In an effort to drive down costs for mass production, manufacturers add chemical pigments and dyes to create cheaper, more artificial colorants. 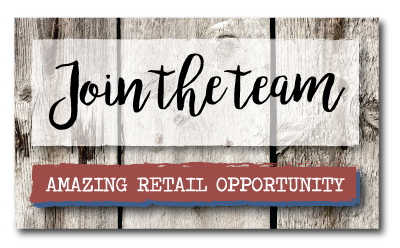 American Paint Company continues to make paint the way it’s been made for centuries; using clay, and mixing in only all natural mineral pigments. 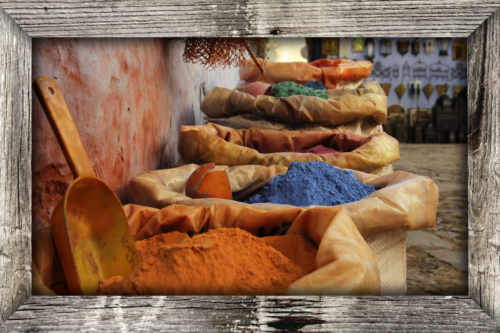 The natural minerals, although more costly, are mixed by hand with the clay, resulting in the truest and richest colors. If you’re looking for a quick link to check out the APC Color Chart and browse all paints by color, then you’ll want to visit our Clay, Chalk and Mineral Paint colors page here. You can quickly find an overview of all colors, sorted alphabetically and with pictures. Once you find your favorite color, you can discover more about that color by tapping or clicking on the image. 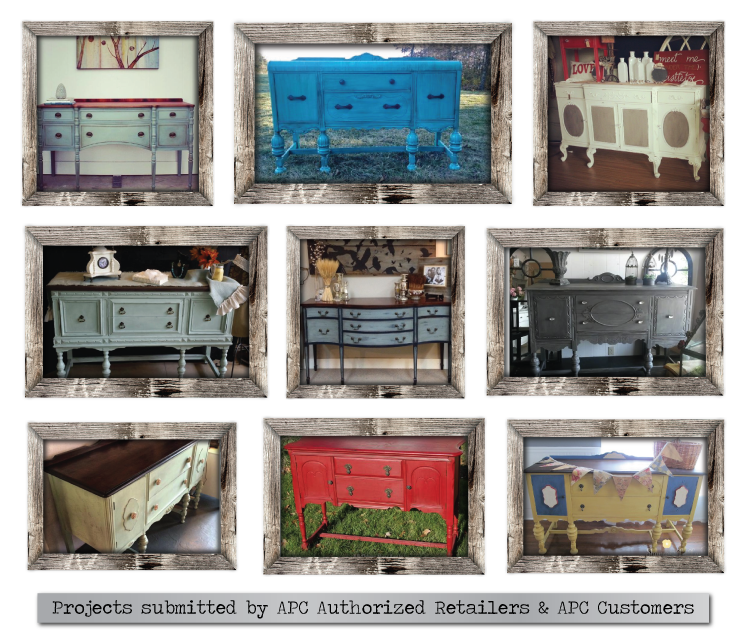 Our customers and retailers have painted thousands of pieces of furniture over the years. The best part? We’ve accumulated pictures, step by step blog posts, tutorials and more! Project pictures and blog posts (hundreds of them) have been neatly organized so you can discover project ideas, color techniques and more! Click the following link to check out one of our most popular colors, Firework’s Red. You’ll notice several project pictures and over a dozen blog posts that mention this color alone. 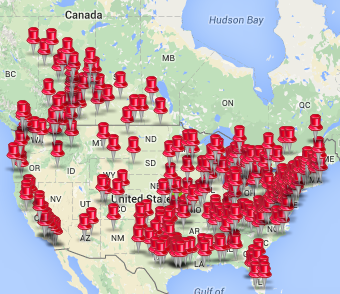 American Paint Company offers three separate color collections. Each collection contains a different number of colors and sizes available. The Tried & True collection is the main line of 30 colors that are available in both 32oz Quarts and 4oz Pots. 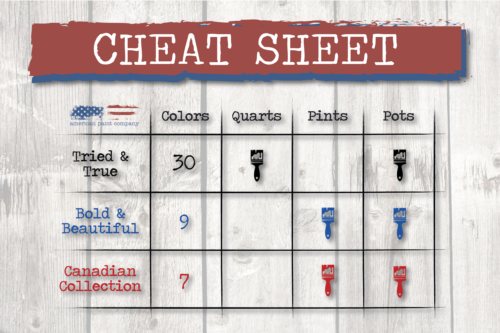 Check out the Cheat Sheet chart below to learn more about all of the paint color collections available to you. Thank you for checking out APC’s Color Guide post. 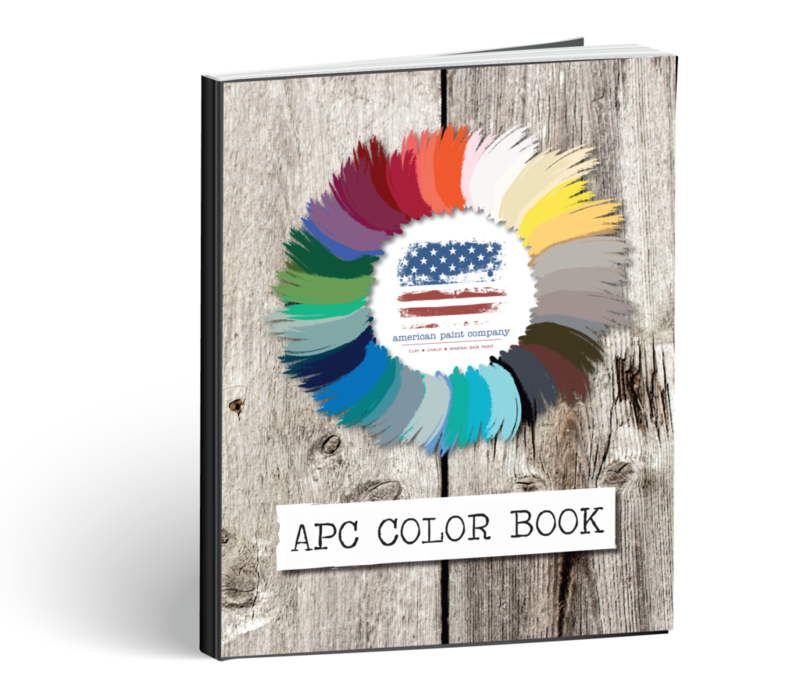 As a way of saying thanks, we’re offering you a chance to download APC’s Color Book for free! 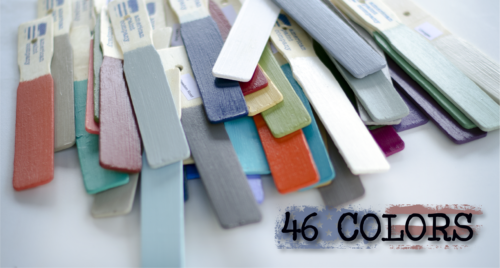 In the book, each page is sorted by color alphabetically and you can check out over 150 project ideas by color. Click here to download the PDF now.